In my “Stuff Steph Loves” blog posts, I like to feature products or businesses that enrich my life. Whether it is because I love their product, what they stand for, or if they make my life easier, I like to spread the love to my readers. Gotta help Mamas out, right? With Kindergarten Toolkit, I hit the trifecta because it hits all three. 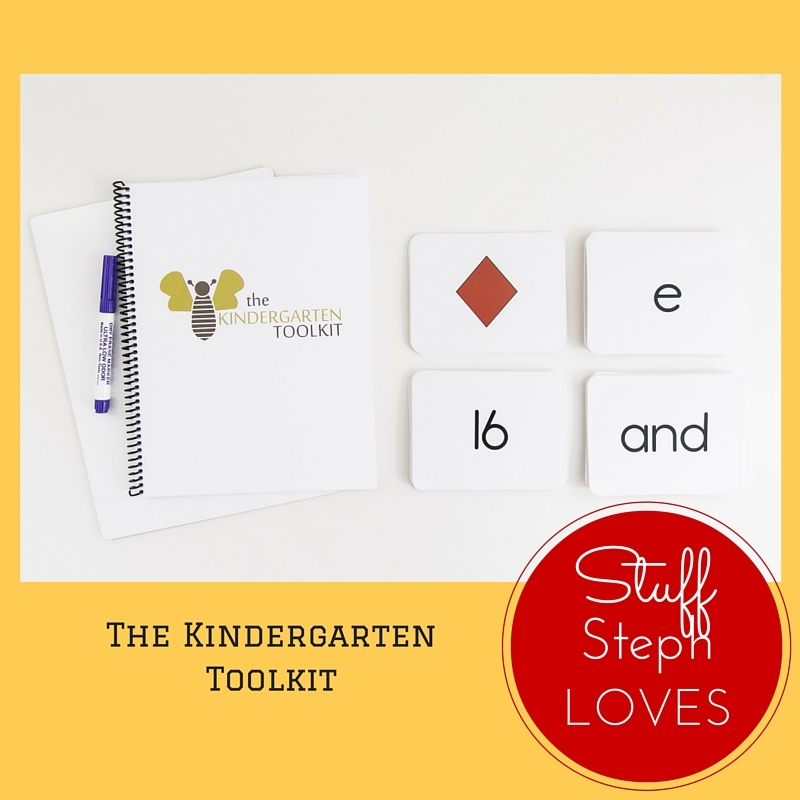 The Kindergarten Toolkit was developed by my good friend and a former Kindergarten teacher, Carrie. I remember feeling a TON of pressure as my kids were approaching Kindergarten. Let’s be honest. Kindergarten today is nothing like my childhood Kindergarten. It is more like the 80s 1st grade…minus the Trapper Keeper and Roos! Kids today are expected to start Kindergarten knowing what we learned in our first year of elementary school. Yikes! Before my kids started Kindergarten, I would stay up at night thinking… Are they ready? Do they know everything they need to know? What if they are behind? Oh my goodness. If they start behind, how will we ever catch up? Are going to be living in my basement at 30 years old?? I am not a teacher. How in the world can I help them learn everything they need to know?!? If you have ever thought any of those things too, the Kindergarten Toolkit is for you. Here are a few ways that the Kindergarten Toolkit can turn you, Mama, into the Teacher of the Year! Designed specifically for preschoolers. You can start with your child at two and it will grow with them all the way through Kindergarten. Builds a foundation of learning throughout the preschool years to promote Kindergarten readiness! Confident kids = happy Mamas. It is perfect for those off days of preschool and summer vacation! The Toolkit focuses on 10 main goals based on what kids will be assessed on to ensure your kids are confident and comfortable when they started Kindergarten. Each of the 10 main goals has 3-4 mini lessons on how to teach that goal. There are also “Toolkit on the Go” ideas for when you are out and about. Follow Kindergarten Toolkit on Instagram and FB to get great ideas about how to use your Toolkit in a ton of creative ways! I am constantly amazed about how simple Carrie makes it and the kids are having FUN! Designed so that anyone can work with the child and the tools in the Toolkit. No education degree required! Parent, Grandparent, or babysitter…anyone can easily use the tools. One stop shop….everything you will need in one box!! 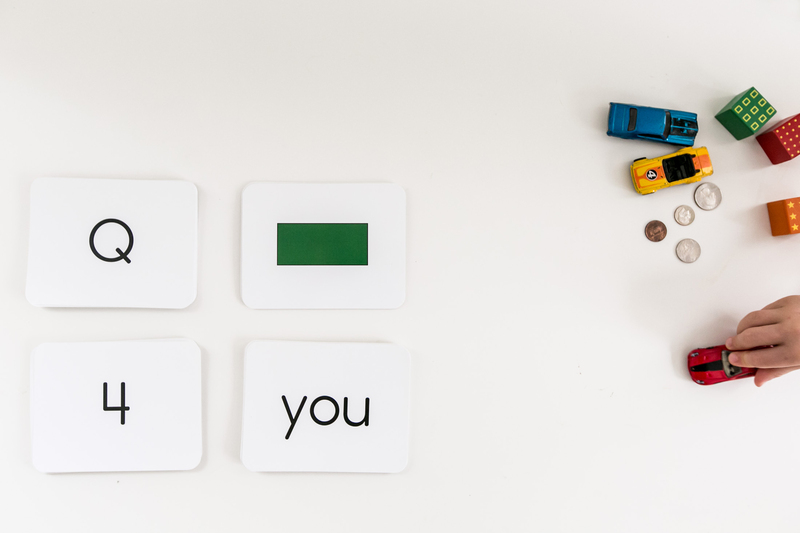 No more searching for random learning tools around the house…..flashcards, workbooks, lined paper etc. The Toolkit booklet – 3-4 mini lessons for each of the 10 Kindergarten goals. There are also supplemental pages in the back that are designed to be copied for future assessments and lessons, so you can use it for multiple children! Last and certainly not least, the Kindergarten Toolkit was created to foster one-on-one learning time with your child. Quality, special, sit down learning time…that isn’t at Preschool, from an iPad or the TV. Those can all play a very important part, but you are establishing yourself as a partner in their education. To order your Kindergarten Toolkit, visit: www.kindergartentoolkit.com . Use coupon code: SLM15 thru 9/6 to receive 15% off!